Senza Titolo, 2010, site-specific installation, doors, variable dimension, Rome, 2010. Senza Titolo, 2010, site-specific installation, doors, variable dimension. 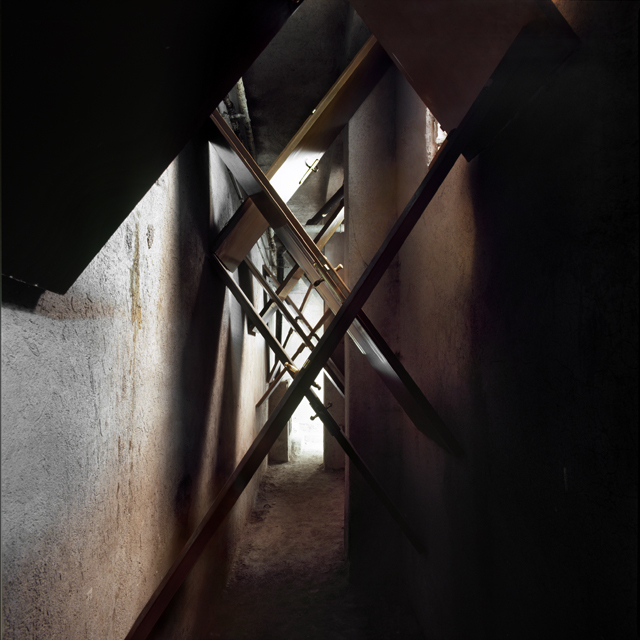 “Untitled” shows an action inside a corridor-cavity in the basement of a building where an exhibition has taken place before. The doors, removed from the exhibition space, have been placed obliquely between the two walls. What emerges is the portrait of a limit and an architecture that can be modified, uncertain and fluid, traversable in time and space. The doors, forgotten their daily function, become anything else than the object itself. They developed into resistances between the two walls, that seem to fight one against the other, squeezed together like a press.